The last week has not been the easiest on me playing goal. For the first time in a long time, I finally gave up in a game. We were down by 8 goals with 7 minutes to go and I just got sick of things. I just leaned back and let them put it in the net 2 more times before the end of the game. I was totally disgusted, but not at my team or my effort. The problem is that we only have 5-6 guys show up consistantly. On top of that, we are outclassed in every aspect of the game by the other teams. As much as I like playing in intermediate/advanced, the constant shellings are starting to take their toll on me confidence wise. Well, that and the fact that my other teams are all struggling. Only two of my four teams this session are actually able to keep up with the competition. That would be my intermediate Copper Bulldogs team, and my beginner team that I skate out on, Vintage Painting. 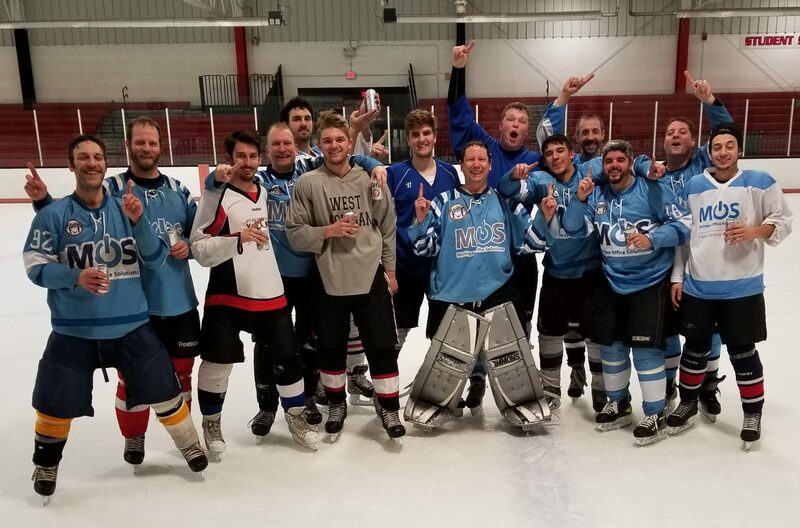 Vintage improved to 5-0 last night with a win over the second place team by a 5-4 OT score. I notched my first assist and got one shot on goal, which isn’t bad. I think I am getting better, but there is part of me that doesn’t know what to do or where to go. I try to play my position, and it is hard not going in to help my defense a lot. My puck handling is getting better as so is my skating. It will take a long time for me to get really good though, but that is not my intention. I just want to play and have fun. This session, having fun is becoming a challenge. There is part of me that feels very alone at times. Past friends have gone to play on other teams, and there is part of me that realizes that I will always play third or forth fiddle to other goalies out at the rink. Of course everyone praises me on how well I am doing. People are supportive, but I have heard enough of that. I don’t want to hear how much my team didn’t have a chance and how I did well. I want to once again play with the people I had success with. Will it happen down the road? I have no idea. Maybe I am having a hard time adapting to the events that have occured. Especially with the struggles I have had this session.